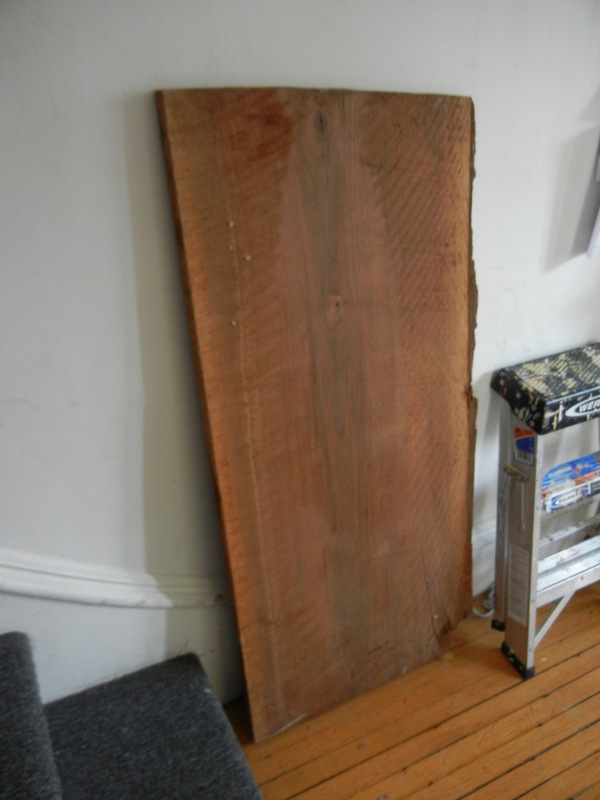 This sweet slab of walnut is going to be a table eventually. Once I have extra time to spend sanding it and sanding it and sanding it some more. The wood was a gift from a friend whose garage we are helping clean out. I’m thinking the classic iron hair-pin legs will be good for this piece. Here’s to salvaging wood and making nice furniture!